Yesterday we had a very moving Yr 6 leavers assembly with the whole school and then at night we had a Yr 6 graduation ceremony with all the Yr 6 students saying a speech about their time at Vogeltown. It was great for the Yr 6 kids to have their final whole school assembly and be able to say goodbye to everyone. Thanks to all the whanau who came to the ceremony, it was great to see you all! 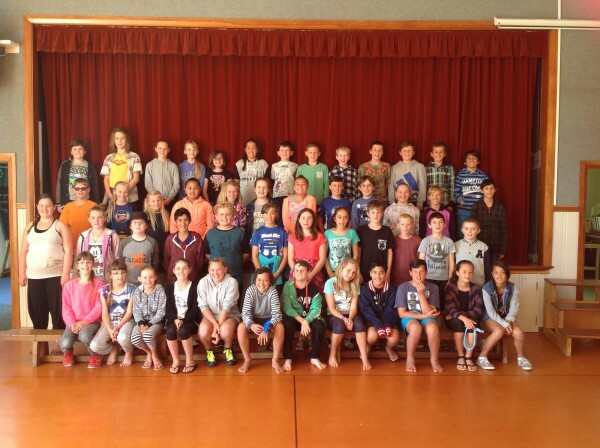 We will miss the Yr 6’s as they move on to their next school and their learning journey continues! Good luck guys! Remember the school vision – “Manaaki Tangata, Manaaki Whenua, Haere Whakamua” and our school motto – SERVICE BEFORE SELF.